In a small town outside Atlanta, a little Ethiopian girl is talking to her adoptive American mother. She is trying to explain how she felt while she and her younger brother were still in the orphanage in Addis Ababa. "I have no hope," she recalls. The trouble, she explains, was that she didn't yet know her adoptive parents were on their way. "I am cry because I don't know you will coming," she says. With great love, her new mother tells her, "I was here getting ready, getting your rooms ready. I was here, me and your daddy, waiting and getting ready." It's fortunate that Melissa Fay Greene's There Is No Me Without You is occasionally studded with gems like the one above, tender vignettes of remarkable children finding joy in the arms of loving new families. If Greene did not have such lovely (and true) stories to share, the heartwrenching facts about Africa's AIDs orphans outlined in this book would be more than the average reader could bear. The stark truth, Greene reminds us, is that "for most of Africa's ten million, fifteen million, twenty million orphans, no one is getting a room ready. No one will come." This is an extremely grim topic somehow shaped into a truly inspiring book. There Is No Me Without You is the story of an unlikely heroine, a squat, bossy, middle-class Ethiopian woman who paid little heed to the AIDS crisis threatening her country until it took the life of her daughter. Then, in the depths of a grief that almost destroyed her, Haregowin Teferra was asked to take in an orphaned teenager. Because of that one child, her eyes were suddenly opened to the hundreds of thousands of Ethiopian children left without parents or even extended family. 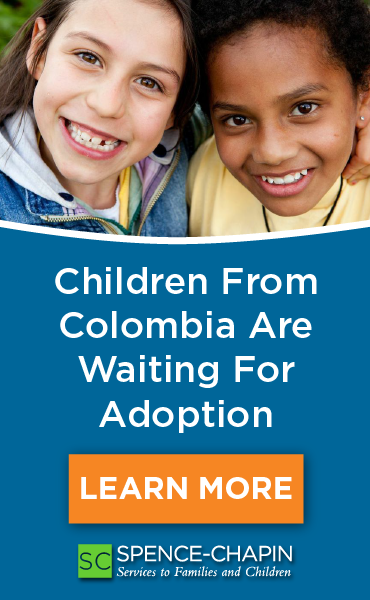 In an impoverished country with little in the way of institutional care, these children literally had nowhere to go. So Haregowin said yes to another teen, then to two little sisters. Eventually she had seven children living with her, then 12, then 15, then 18, then 32. 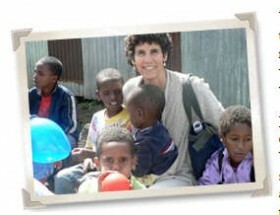 Before she knew it, she had become a foundation, crusading for hundreds of children, and working to find them new homes. Greene is a fine writer, a two-time National Book Award nominee, and There is No Me Without You is the happy occasion of wonderful and weighty material meeting a gifted narrator. Haregowin's story is woven in with straight reportage on the devastation wrought on African children by the AIDS crisis. The latter is hard to digest. It is also controversial, and not all readers will accept all aspects of Greene's analysis of the AIDS crisis. But for most readers, the power of the story of Haregowin and the children in her care will prove transcendent, turning this book into a gripping and heartfelt read. Haregowin is no saint. Greene (who first met Haregowin as a prospective adoptive mother herself and has since adopted two Ethiopian children) makes it clear that sometimes she has trouble liking her. Yet her descriptions are gentle and humorous. Greene says of the tiny woman: "She had the knack of making it seem that everything happening at her altitude was normal, while, at my height, the goings-on were rather outlandish." The course of Haregowin's career is not a smooth one. She becomes an internationally acclaimed philanthropist -- and then almost loses it all as she becomes widely discredited and goes to jail under suspicion of child trafficking. Greene very effectively portrays a woman whose character blends great generosity with unthinking arrogance, an ordinary woman pushed into heroism by the demands of her time and situation. The book also offers heartwrenching portraits of innocent young lives in wretched distress. The description of small children wailing hopelessly for their missing parents (and this is something Haregowin faced daily) is beyond devastating. But there is a rich reward for readers -- and Haregowin -- as a few of the cases that seem most hopeless meet with breathtakingly happy endings.